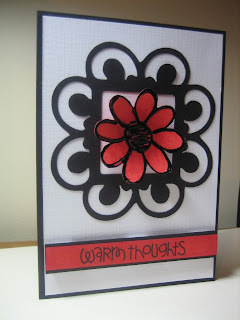 I made this card using my Slice machine, Hero Arts Layered Flowers Stamp coloured with Copic Markers, and Paper Smooches Sentiment Sampler stamp. Sweet card Tracy - love that black frame, and the greeting works well with your chosen colour splash :) Thanks for playing along at the Play Date Cafe! What a pretty card. I have never used a slice machine. Is it worth buying one... do you use it a lot? Well done 11 year old. I have a 10 year old and 12 year old boys and they are always telling me which card they like the best too. 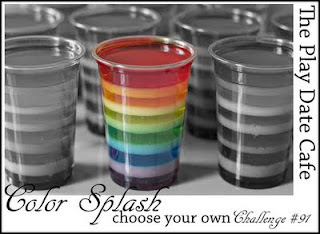 What a fabulous, eye catching design, Tracy! 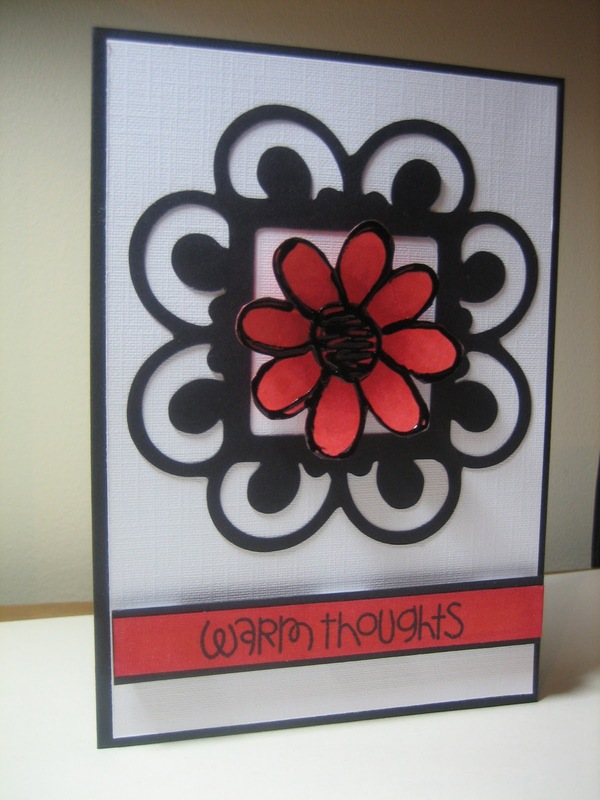 Love the black/white/red combo and that sweet sentiment! Thanks for playing along with us this week at the Play Date Cafe! You've won a Paper Smooches prize over on my blog, please hop over and have a look.